Rosa Kim of Plantation, FL., was sentenced to 15 years in prison for 2 counts of DUI manslaughter. March 18, 2012, Kim crashed into a poolside cabana at the Riverside Hotel, which is located in Fort Lauderdale, resulting in the death of Alanna DeMella, and her unborn baby. In Bautista v. State, precedent was set allowing for multiple convictions of DUI manslaughter stemming from a single act of DUI. DeMella was 7 months pregnant with her first child, and was 26 years old at the time of her death. Michael DeMella, the victim’s husband was left with minor injuries. Kim’s BAC was three times above the legal limit when she got behind the wheel, a reading of 0.24. In court, the husband and other family members claimed Kim purposefully became pregnant in hopes for lesser punishment. “It’s amazing how one person could make so many poor decisions,” said the victim’s mother. “You have tried all avenues to evade responsibility for this crime.” The Assistant State Attorney also claimed the pregnancy was an act of desperation, calling it “appalling and manipulative”, and was aiming for a sentence of 20 years. Kim was hoping for the minimum sentence allowed by law – 4 years in prison. Circuit Judge Bernard Bober gave a 15 year prison sentence, and once released, will have to serve 15 years of probation; requiring 50 community service hours each year. In addition, the Judge permanently revoked Kim’s driver’s license. As for her pregnancy, she will be taken to a hospital in May for a C-section; her family will take care of the child while she serves her sentence. If you have been charged with a DUI related offense, an experienced criminal defense attorney is imperative. 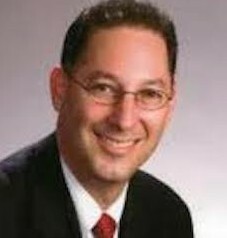 Kenneth Padowitz, P.A. aggressively handles all State and Federal criminal charges. Contact our law firm to speak with our DUI attorney and to discuss your situation. Our Fort Lauderdale criminal attorney will strategically develop a defense designed personally for you and your situation.